Having lived in Taos, NM since 1976 and raising her family there, Ms. Kendall has been a member of ISA (International Society of Appraisers) since 2008. This status demonstrates professional experience and education through rigorous examination of the theory and practice of professional appraising as well as on ethical standards of practice and legal considerations. From 1989 to 2009 Ms. Kendall owned and directed the Fenix Gallery, a fine art gallery specializing in contemporary works by both regional and international artists. She curated more than forty solo exhibitions and mounted numerous group exhibitions. She has connoisseurship with nineteenth and twentieth century art (both American and European) and marketing expertise both in the regional and international arenas. 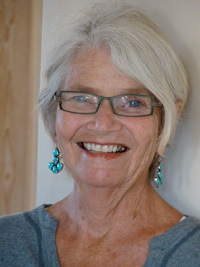 Her knowledge of Southwest art and movements therein, both early and contemporary is extensive. Ms. Kendall has experience in art consulting, education and community development. She has completed appraisal projects of collections for the Harwood Museum of Art. Taos, N.M. as well as appraisals for insurance and estate settlement. All appraisals and reports are prepared in conformity with and are subject to the standards and requirements set forth in the Code of Ethics and the Appraisal report Writing Standard of the International Society of Appraisers and with the Appraisal Foundation’s Uniform Standards of Professional Appraisal practice (USPAP). Appraisals done for federal estate and state inheritance tax purposes are done in accordance with pertinent state and Internal revenue Service Code regulations. 1980 Lee Strasburg Studios, Professional Theatre Training LA, CA. Owner, Founder, Director Fenix Gallery, Taos N.M. A premier Contemporary Fine Art gallery representing Modernists, emerging and established Taos artists collected nationally and internationally. Publications/Articles featuring, Judith Kendall, Fenix Gallery and its respective artists published in the New York Times, ART News, Sunset Magazine, The Taos News, Taos magazine, Horsefly, New Mexico Magazine, The Santa Fe New Mexican, The Albuquerque Journal among others.